Clara “Teddy” Ann Klobe, 87, of Glencoe, died Saturday, Nov. 4, 2017, at St. Mary’s Care Center in Winsted. Casket bearers were Mike Hajicek, Bob Hajicek, Gale Donnay, John Donnay, Jim Ford, John Beste and Tom Beste. Interment was in the church cemetery. Clara “Teddy” Ann Klobe was born June 17, 1930, in Freeport, Minnesota, the daughter of Henry and Regina (Haselkamp) Beste. She was baptized as an infant, received first Holy Communion and was confirmed in her faith, all at Sacred Heart Catholic Church in Freeport. She attended Sacred Heart Catholic School and Melrose High School, graduating in 1948. She pursued her dream of becoming a nurse, attending St. Cloud Hospital School of Nursing, and graduating in 1951. After receiving her nursing degree, she moved to Glencoe and began her nursing career at the Glencoe Hospital. It was here that she met Albin Klobe. They were married June 22, 1954, at Sacred Heart Catholic Church in Freeport. The couple were blessed with five children, Nancy, Jeanne, Mary Jo, Alan and David. The couple raised their family on a small farm in rural Glencoe. 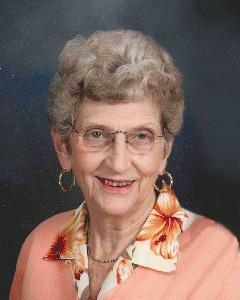 Mrs. Klobe was a faithful member of the Church of St. Pius X in Glencoe and loved to serve in many capacities there. She directed the church choir for many years. She was a lector, eucharistic minister and religious education teacher. She served on the Council of Catholic Women, the Diocesan Pastoral Council and on the St. Pius X School Board. She also volunteered with the Red Cross bloodmobile and at Glencoe Regional Health Services Long Term Care. She had the true heart of a care giver, which showed in every aspect of her life from her work to her family, friends and volunteering. She enjoyed dancing, music, gardening, cooking a good meal, and she was always ready for a game of cards. She is survived by her husband, Albin Klobe of Glencoe; daughters, Nancy Ellefson of Glencoe, Jeanne (William) Klein of Rochester and Mary Jo (Michel) Locquegnies of Bloomington; sons, Alan (Reece) Klobe of Glencoe and David Klobe of Glencoe; grandchildren, Jessica (Lucas) Spaeth, John Ellefson; Robert (Wendy) Klein, Michelle (Michael) Frischmann, Stephanie Klein, Melayna Locquegnies, Mia Locquegnies and Kendra Klobe; great-grandchildren, Bailey, Carlos, Cameron, Clara, Scarlett, John Jr., Sylvie, Maxwell and Carolyn; brother Alois (Margie) Beste of Freeport; sisters-in-law, Delores (LeRoy) Donnay of Glencoe and LaVerne Ford of Glencoe; nieces, nephews, other relatives and friends. She was preceded in death by her parents, Henry and Regina Beste; siblings, Ulric (Clara) Beste, Emmeline Beste, Regina Beste, Mary Beste, Eleanor Beste, Julitta Beste, Francis Beste and Bill Haselkamp; and sisters-in-law and brothers-in-law, Mathilda and John Hettver, Theresa and John Ford and Irene and Virgil Hajicek.